BGC Condo for Sale by Megaworld. Megaworld Corporation has a well-earned reputation as the country’s No. 1 residential developer, with more than two million square meters of built space for residential properties ranging from luxury houses to impressive townhouses and condominiums. The Megaworld Group has launched more than 200 residential, commercial and office buildings in the last 17 years. Megaworld as a holding company is into merchandise trading as well as hotel and leisure. Megaworld continues to build upon a track record for quality and innovation centered on customer satisfaction through high-caliber projects delivered on time and backed by professional property management and after-sales services. 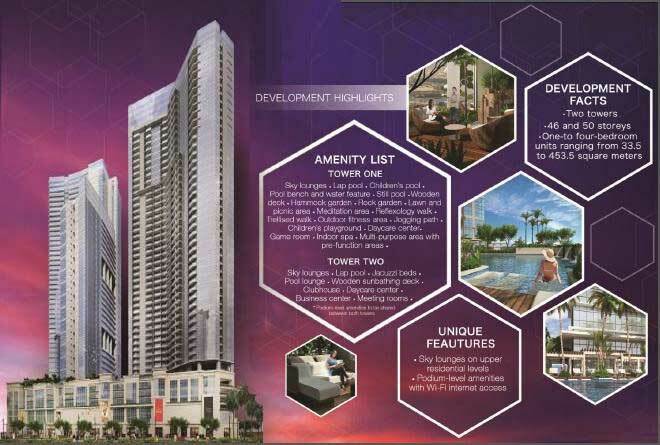 Looking for Other Condo BGC Condo for Sale?